When the mercury starts rising, more and more people prefer staying indoors. After all, staying in an air-conditioned environment can be very comfortable. However, not all people take proper care of their air conditioners. Getting your unit serviced regularly is essential if you want to get the most out of it. The professionals who service air conditioning units will usually carry out thorough checks to ensure that all the components of the unit are in prime condition. In case some components have worn out, they will replace them with authentic air conditioning spare parts. As a result, your unit will serve you perfectly throughout the season. Even the best air conditioning systems will develop problems over time. In this scenario, you might need to visit the local shop to purchase air conditioning and ducting supplies in Sydney or other places. But, you will need to be prudent when you shop for replacement components. For instance, always purchase spare parts directly from the company that manufactured your air conditioning unit. Alternatively, look for an authorised dealer in the vicinity. Purchasing your air conditioning spare parts from these sources will be quite beneficial. 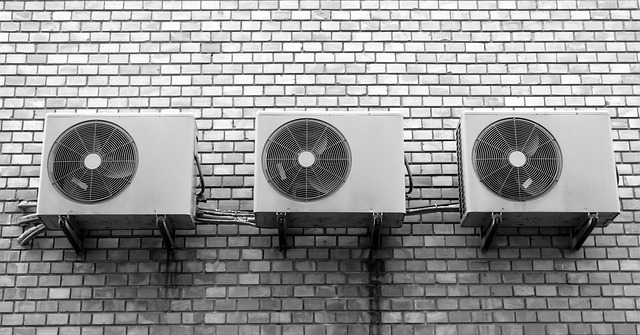 Do the Efficiency Ratings of the Air Conditioning Components Match? Providers of ducting supplies in Sydney and other cities will usually offer all kinds of spare parts for air conditioning units. However, each manufacturer of air conditioners will typically produce dozens of models, which use a myriad of components. Not all of these components will work in all the air conditioning models that the manufacturer produces. Therefore, it is best to note the component details when you go shopping. It might be useful to take the older component along with you as well. This would enable you to check the appearance of the replacement parts and confirm compatibility. One aspect to heed, in particular, is the Seasonal Energy Efficiency Ratio or the SEER rating. The new air conditioning spare parts will need to have identical SEER ratings to those of the older components for the unit to function properly. Is the Replacement Part of the Same Size as the Older Component? When you need replacement parts for your air conditioner, consider visiting the facility of a reputed provider of ducting supplies in Sydney or elsewhere. These suppliers will invariably stock a comprehensive range of spare parts and components. By producing the older part, you will be able to obtain an identical replacement. You will need to ensure that the size of the two components is the same. Otherwise, you could end up compromising the efficiency of the air-conditioning system. The new part should use the same refrigerant too. For more than 21 years, Airtag has been the distributor of choice for air-conditioning and insulation products in Australia. We stock a myriad of air conditioning spare parts for all kinds of units. With us, you can expect personalised service and competitive prices. Click here to send us an enquiry.